General circulation models use math to predict the future – future rainfall and temperature data, for example. But GCMs are meant for global or regional scales. The scientists used CAT to explore future water quality in the Lower Yazoo River Watershed, MS. Photo by Michael Barera. “CAT is better for fine scales,” says USDA Forest Service research hydrologist Ying Ouyang. CAT, the Climate Assessment Tool, is a model developed by the U.S. Environmental Protection Agency. CAT has existed for years, but until now, no one has used it in a peer-reviewed study. Ouyang and his group published their findings in the Journal of Hydrology. CAT relies on historic temperature and precipitation data that USGS collects. USGS maintains thousands of gages that measure streamflow and other variables daily. The scenarios CAT creates can be modified to reflect possible changes in the future. This allows researchers or others to see how future changes in rainfall or other variables could affect local watersheds. Ouyang and his colleagues studied the Lower Yazoo River Watershed in Mississippi. The watershed is 150,000 acres. Sixty percent of the watershed is forested and 30 percent is agricultural. Cotton, corn, soybeans, rice, and catfish are produced there. 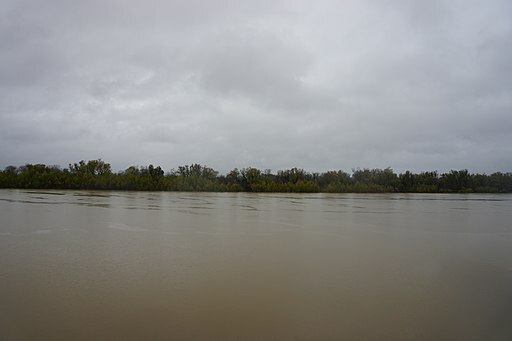 Water quality in the Lower Yazoo River Watershed has declined over the past several decades, as Ouyang and colleagues previously showed. Extreme rainfall could cause further declines, the new study suggests. “Extreme rainfall events have tremendous impacts on monthly nutrient loads in the Lower Yazoo River Watershed,” says Ouyang. When the soil is saturated but the rain keeps falling, excess water runs off the surface of the earth. As it moves, it picks up nutrients, pesticides, pet waste, oil, dirt, and other pollutants and washes them into streams. The scientists used CAT, plus another EPA-developed model called the Hydrological Simulation Program-FORTRAN, to estimate the impacts of extreme rainfall and warmer air temperatures. The scientists defined extreme rainfall as a ten or 20 percent increase in historic summer rainfall. Extreme summer rains could increase orthophosphate nutrient loads by 40 percent. Monthly nitrate-nitrogen loads could increase by 30 percent. 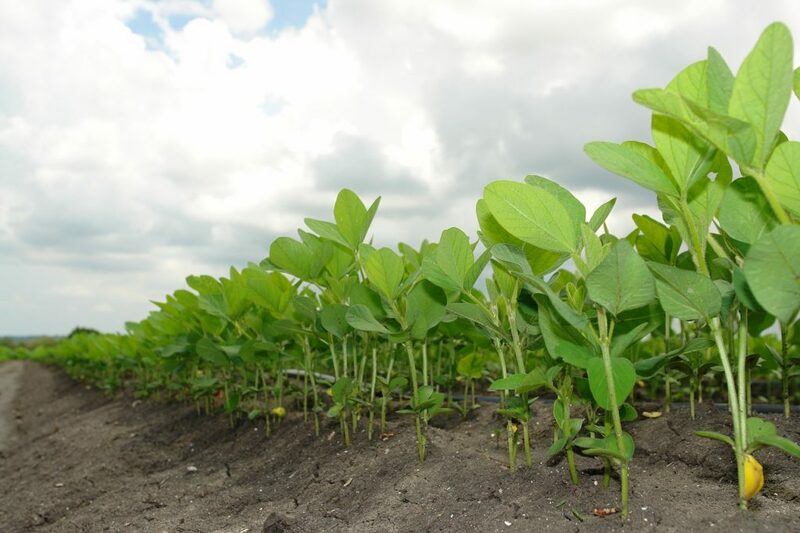 Soy is a common crop in the Lower Yazoo River Watershed, along with cotton, corn, and rice. CC0 photo. If the air warmed by one degree Celsius over a ten year period, along with a ten percent increase in rainfall, nitrate-nitrogen loads could increase by 12 percent and orthophosphate by 14 percent. If the air warmed by two degrees Celsius and rainfall increased by 20 percent, nitrate-nitrogen loads could increase by 20 percent and orthophosphate by 26 percent over the simulated decade. The findings can help water resource managers and farmers in Mississippi and beyond. The modeling approach can be useful too – it can be applied to other local watersheds with available data. Read the full text of the paper. For more information, email Ying Ouyang at ying.ouyang@usda.gov.